In the parlance of social psychology, social work, and urban social scientists, African American fathers have often been described as "absent," "missing," "non-residential," "non-custodial," "unavailable," "non-married," "irresponsible," and "immature." It is wondered why it is/was so difficult to find literature, research, and comments regarding positive attributes of African American families in general and African American fathers in particular. This book fills a void in attempting to offer a broader picture regarding the status of African American males in a father role. The purpose is to get beyond the African American father "invisibility" syndrome and gloom and doom pathology oriented labels and tell another side of the story about the power of fathering in the African American experience. 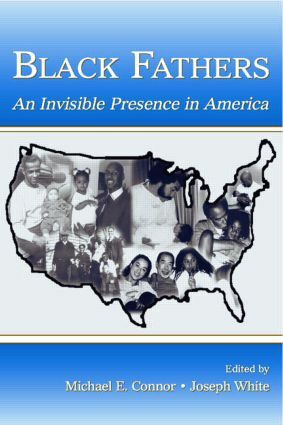 The book brings these "invisible" social and biological fathers to life by telling their stories and letting the reader hear and feel the vibrancy of their voices as they struggle to meet the challenges of being fathers and Black men in America. *Part I offers some research and theory regarding the impact of fathers on the lives of their children. *In Part II, reactions and experiences from those men who had active, involved, and committed Black men in their lives as they were growing up are shared. *In Part III, stories are shared from African American men who had problematic relationships with their fathers, but who put forth the time, energy, and effort to work through the issues. *The primary focus of Part IV is on how to strengthen the role of Black fathers, father figures, and social fathers in family life and child rearing by discovering and internalizing psychological strengths anchored in African American psychological themes, African values, and spirituality. This book will appeal to scholars and researchers in the fields of race/ethnic relations, family studies, and Black studies.